Similar to a waterfall, this table is constructed with wood grain flowing from the top down the side, creating a strong and attractive design. 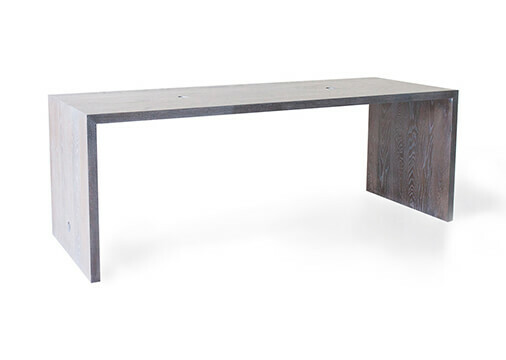 Uses for this table include a conference table, workstation, break room table, meeting table, or kitchen table. Custom sizes, species of wood, and finishes are available.